patchwork, crochet, knitting and sewing projects. Wouldn't it be great to have a hoop that makes your project taut and doesn't slip. Well, let me introduce you to Morgan No-Slip Hoops and Lap Stands. View our range of Hoops and Lapstands below. 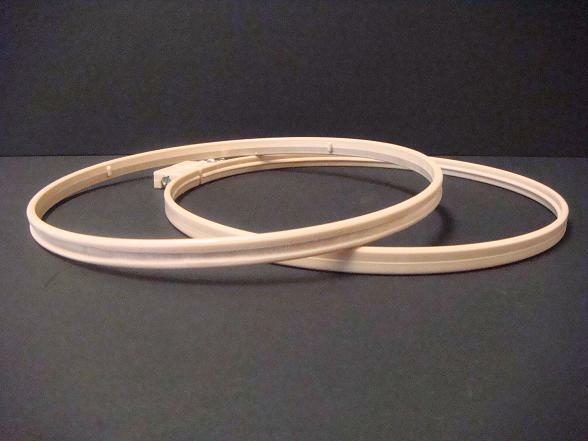 Featuring a tongue and groove system and easy to fasten system, these hoops are light-weight and easy to use. 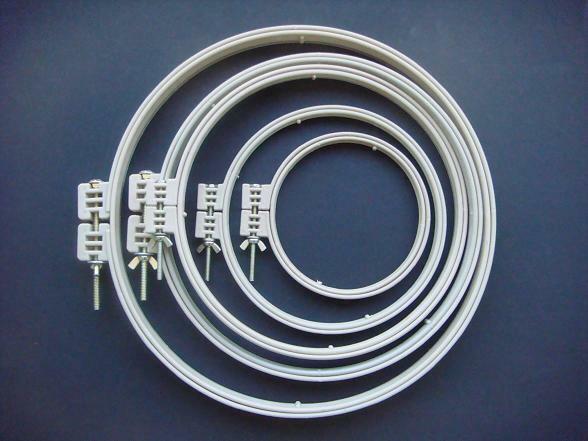 Made from rigid plastic, these hoops come in a variety of sizes. The lap stands allow you to work hands free, with both hoops having the tongue and groove system. Click on the image to see a close up. The hoops are easy to fasten and unfasten with a large wingnut being out of the way of the hoop's workarea. Sorry, you must be logged in to see this information.